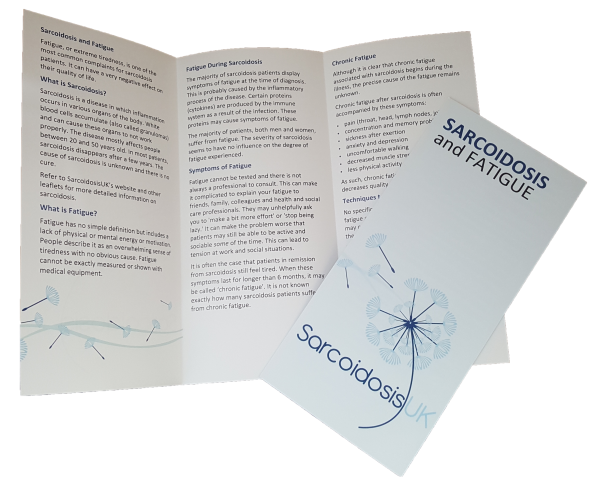 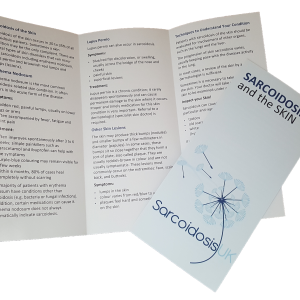 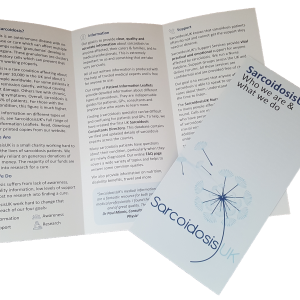 This leaflet is perfect for patients, GPs or anyone wanting to learn more about sarcoidosis and fatigue. Fatigue, or extreme tiredness, is one of the most common complaints for sarcoidosis patients. 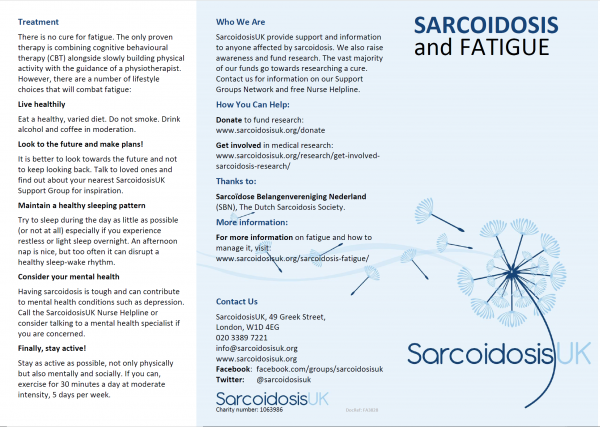 It has a negative effect on their quality of life.